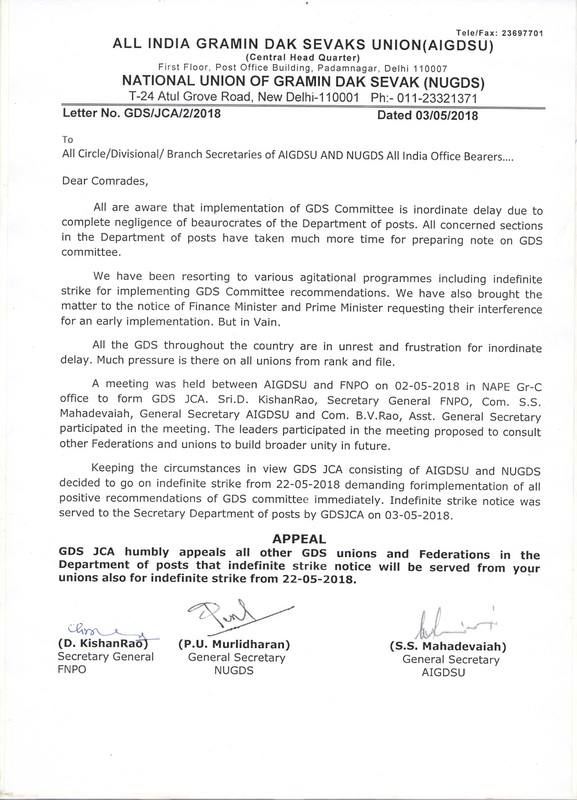 It is hereby notified that the Central Working Committee meeting of the National association of Postal Employees, Group C will be held from 29-06-2018 to 01-07-2018 at “Hotel Mahavir, Kachiguda Railway Station Road, Hyderabad”. The following will be the agenda for the CWC meeting. It is further notified no further fresh notice will be issued if the date(s)/or venue of the CWC meeting is changed; but only an intimation thereof will be sent. 1. Adoption of the minutes of the last CWC meeting. 6. Any other item with the permission of the chair. 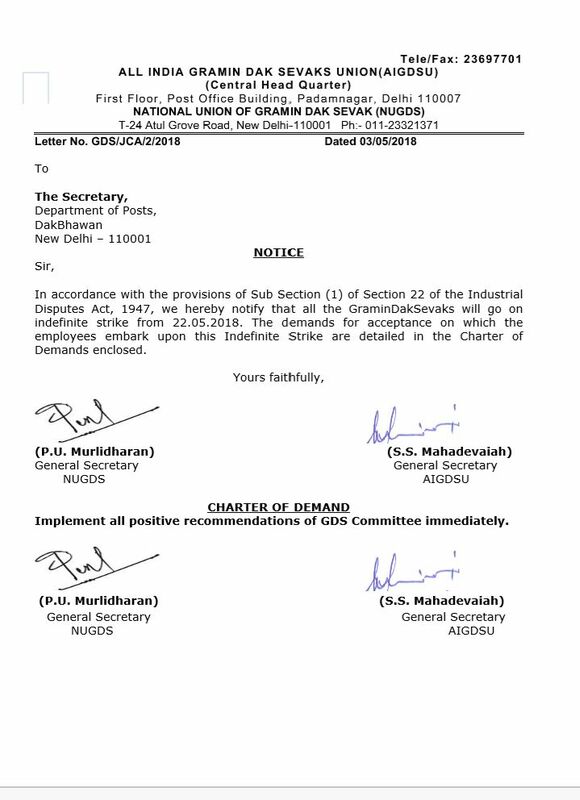 Department of Posts, New Delhi-110001 for taking action.